Liz Kain has a wide variety of work ranging from Shakespeare to Floral. Each collection is known for its fine workmanship. 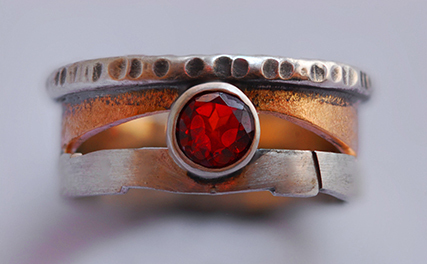 Her work encompasses a vast range and covers all aspects of jewellery making -from wedding bands to eye glasses. All pieces can be made in platinum, gold and/or silver.